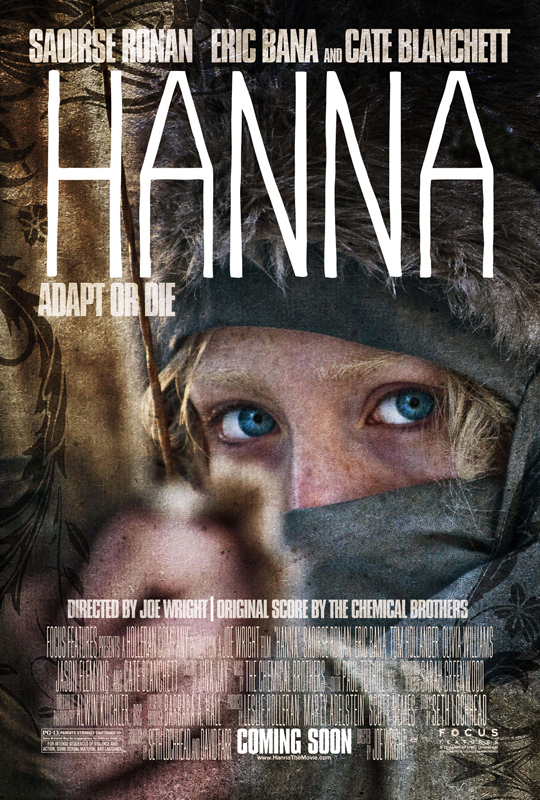 Hanna (Saoirse Ronan) is a 16-year-old assassin-in-training who has been raised in the snowy, secluded wilds of Finland. She’s a multi-lingual encyclopedia of knowledge with the skills of a trained soldier thanks to the efforts of her ex-CIA father (Eric Bana). The time has come to put her training to use as she is tasked by her father to assassinate a female CIA agent from his past (Cate Blanchett). The assignment takes Hanna from Morocco to Germany as she eludes government operatives and skinhead thugs while learning about things like “normal” families and electricity. Director Joe Wright, who previously worked with Ronan on the Oscar-nominated Atonement, has crafted a slick, high-concept thriller that truly reinvigorates the action genre through smart editing and gorgeous cinematography. Everything about the film is classy, from the look to the cast (it’s great to see Eric Bana return to form after a series of forgettable roles) to the pulse-pounding score by The Chemical Brothers. While searching for a worthwhile theme outside of the obvious may be difficult, Hanna provides action sequences that will satisfy even art house audiences and is the first must-see film of 2011. Hanna opens wide in Philly-area theaters today. Official site (which is actually worth your time, it’s pretty impressive).